March 18, 2014, 11:43 a.m. In 1980, The New York Times launched a daily national edition that, despite a significant upfront investment, turned into a position of strength; today, more than half of the Times’ print subscribers are outside New York. The Washington Post didn’t, and while its strength in the D.C. area generated big profits for a long time, it entered the digital age without the same sort of cross-country reach as its rival up I-95. But the Post has a new twist on that old debate. The paper said Tuesday it will begin to offer free digital access to its websites and apps to subscribers of a number of local newspapers around the country in an attempt to reach a larger digital audience — and signaling that the paper is moving to position itself as a major national news brand. The Dallas Morning News, the Honolulu Star-Advertiser, The Toledo Blade, the Minneapolis Star Tribune, the Pittsburgh Post-Gazette, and the Milwaukee Journal Sentinel will be the first papers to participate. The program launches in May and would seem to be a win all around: Local papers get a significant new benefit to offer subscribers; the Post gets extra premium audience online and likely doesn’t lose many (if any) marginal digital subscribers. And it’s a model that could, if successful, be expanded at near-zero cost to dozens or even hundreds of other dailies. 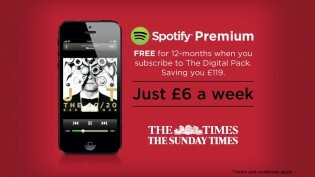 And the idea of a Post digital subscription as a throw-in benefit opens up lots of new possibilities. The Post could potentially work with other subscription services like Amazon Prime, Spotify, or others to offer digital access to the Post, Washington Post president Steve Hills told the Financial Times. He also said that the strategy, one of the first major initiatives launched since Jeff Bezos bought the Post last year, is a substantial shift in how the paper approaches its business. At this writing, a new digital subscription to the Post goes for $3.99 every four weeks or $39 for a year, although prices can vary depending on current offers. 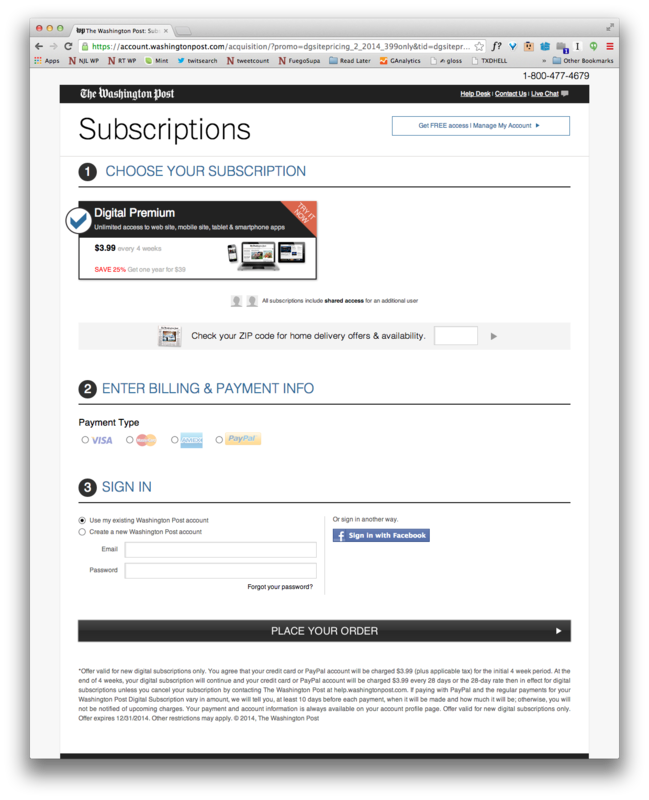 The paper launched its metered paywall last summer. Bezos is known for not worrying about profit margins, and the FT reports that no money is changing hands as part of the partnership with the six local papers. Lichterman, Joseph. "The Washington Post goes national by offering free digital access to readers of local newspapers." Nieman Journalism Lab. Nieman Foundation for Journalism at Harvard, 18 Mar. 2014. Web. 20 Apr. 2019. Lichterman, Joseph. "The Washington Post goes national by offering free digital access to readers of local newspapers." Nieman Journalism Lab. Last modified March 18, 2014. Accessed April 20, 2019. https://www.niemanlab.org/2014/03/the-washington-post-goes-national-by-offering-free-digital-access-to-readers-of-local-newspapers/.